Muktinath Tour, the secret shrine of both Buddhist and Hindus devotes which is situated at an altitude of 3,800 meters at the lap of the Himalayas in Mustang district of Nepal. Muktinath is also very well known as a “Mukti Kshetra” means the “home of moksha or liberty”. The place where every year thousands of pilgrims have been visiting from Nepal, a different state of India such as Delhi, Mumbai, Chennai, Uttar Pradesh, Bangalore, trekkers of European and American as well. We have various packages of Muktinath Tour offer private deluxe and group with affordable cost. The best month is February to November quite suitable for Muktinath Darshan Tour. 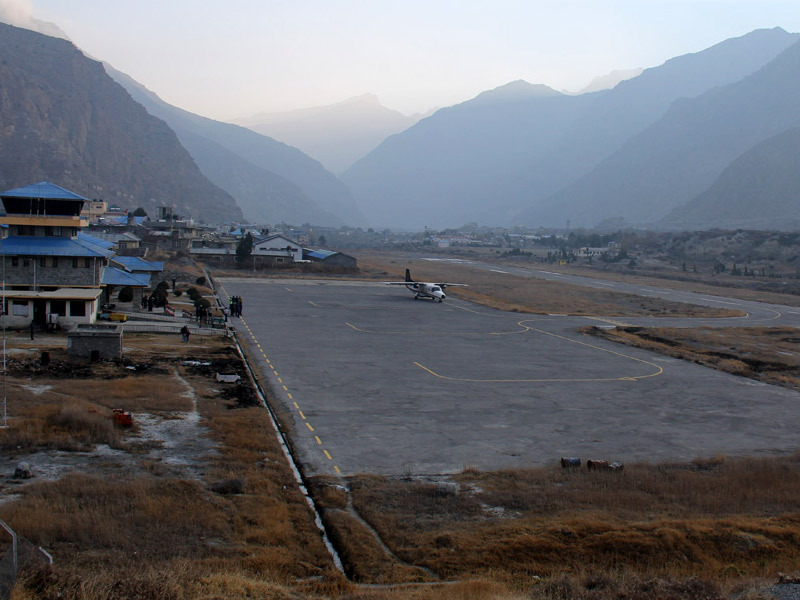 There is various option to access Muktinath temple by helicopter, flight, and road. Jwala Mai Temple: Where visitor can get huge opportunity to observe the always burning sacred flame from the natural rock which is positioned inside Gompa of Dhola Mebar, located in the south area of the temple, five-minute walk to reach there. Mukti Kunda: It is two sacred water ponds very well known as “Saraswati and Laxmi Kunda”, vast believed to clean away your sin taking the plunge. Mukti Dhara: Continuously flows 108 chill holy waterspouts in the backyard of Muktinath Temple. Taking bath under 108 Muktidhara is believed to bring Moksha or Salvation. Shaligram: Saligrams (Ammonite fossil), this is one kind of black stone which symbol of Lord Vishnu that is found in Kali Gandaki River and both Buddhist and Hindu devotee bring to the kept prayer room in the home. It is also famous and combined with fossils of the Jurassic park age. Mharme Lha Khang Gompa: The Buddhist monastery is dedicated to Guru Rimpoche (The main teacher of Buddhist) also popular as Padmasambhava which is located on the north side of the temple. By helicopter (Max. 3 hours): Luxury Muktinath Tour can be done the maximum in 3 hours by helicopter from the Kathmandu airport. It is one of the best and easy option to reach Muktinath temple. After visiting Muktinath temple either fly back to Pokhara or Kathmandu as per your choice. We have a five/six seated helicopter is available to charter. Thus, the good idea is to share helicopter in group and cost will be cheap per person. If you interested, please contact us. By road and flight (3- 7 days): This is another easy way to access Muktinath temple by road and flight. Drive to Pokhara, next day early morning flight to Jomsom from Pokhara airport. From Jomsom, one and half hour another Jeep drive then half hour easy hike to reach Muktinath temple. After Muktinath temple visit, back to Jomsom as the same route by Jeep drive, overnight at hotel in Jomsom. Next day morning fly back to Pokhara then either you can continue to fly to Kathmandu or stay at Pokhara. By road (4- 8 days): Muktinath temple access by road, it is a Jeep or local bus drive by road and either private or group. Drive Kathmandu to Pokhara, overnight stay at Pokhara. From Pokhara to Jomsom through Beni bazaar, Tatopani, Ghasa and Marpha (overnight at hotel in Jomsom). Next morning, drive to Muktinath temple and back to Kathmandu by road as the same route. By flight only (3- 5 days): This is another luxury way of Muktinath tour to access there. Firstly, flight to Pokhara from Kathmandu and overnight at Pokhara in the hotel. Next day early morning flight to Jomsom then drive to Muktinath temple and back to Jomsom, overnight at hotel. Early morning flight to Pokhara and Kathmandu. Day 01Arrival in Kathmandu (1345 meter)Kathmandu arrival, airport pick and transferred to hotel by private tourist vehicle. When getting fresh, you will introduce with a tour guide, provides itinerary and discuss the tour at your hotel. Overnight at hotel. Day 02Drive Kathmandu to Pokhara (810 meters) After breakfast, you drive Kathmandu to Pokhara. It takes 6 hours (200km) scenery drive and you will get various opportunity to encounter green valley, river, Jungle, paddy fields and more landscape. Overnight in Pokhara at the hotel. Day 03Fly to Jomsom (2700 meter) & drive to Muktinath temple (3800 meters)Early morning breakfast at the hotel, transfer to airport and fly to Jomsom. It takes 25 minutes, after arrival Jomsom airport, 5 minutes’ walk to the hotel from the airport. From the hotel, 15 minutes’ walk to Jeep stands and drive to Muktinath temple through George of Kali Gandaki River, Kagbeni, and Monastery. 20 kilometer away Muktinath temple from Jomsom, it takes around 2- 3 hours scenic drive. Arrival at Ranipauwa and 40 minutes hike to Muktinath temple where you will take a holy bath on 108 waterspouts which is very famously known as a “Muktidhara” then there you see another two Kunda (Pond) in front of temple well known as a “Mukti Kunda”. After having Darshan/ Pooja (worship), move to Jwalamai temple (continuously burning flame) and back down to Ranipauwa. Again, drive back to Jomsom by Jeep through the same road. Overnight in Jomsom at the hotel. Day 04Fly back to PokharaEarly morning fly back to Pokhara from Jomsom airport and transfer to hotel. Full day Pokhara sightseeing where you will visit Barahi temple, Bindhyabasini temple, Fewa Lake, peace pagoda stupa, Mahendra cave, Gupteshwor cave, Davis fall, Seti River Gorge etc. Overnight at hotel. Day 05Drive back to KathmanduBefore driving back to Kathmandu, early morning you will drive to Sarangkot hill station from where you will encounter beautiful sunrise over the Mt. Fishtail, Annapurna range, Dhaulagiri, Nilgiri, Manaslu and another mountain. After visiting back to hotel, breakfast and drive back to Kathmandu. Overnight Kathmandu at the hotel. Day 06Departure!You will drop to Tribhuvan International airport two hours before flight time. It takes 20- 30 minutes from your hotel. Note: If your flight is late, like 03: 00pm- 04: 00pm, you can experience Everest Mountain Flight at 06: 30am in the morning. You should pay extra for flight.